Ninety percent of the funds districts have received as a result of the passage of Prop. 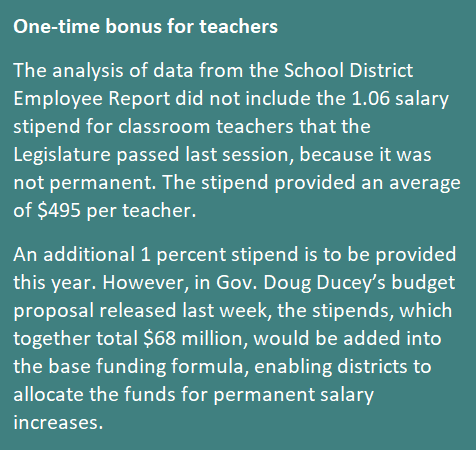 123 have gone to either teacher salaries and benefits or hiring teachers, said Dr. Anabel Aportela, director of research and analysis for Arizona Association of School Business Officials and Arizona School Boards Association. Districts are employing “1,791 more teachers and the average salary has gone up by a little over $2,000,” Aportela said. Prop. 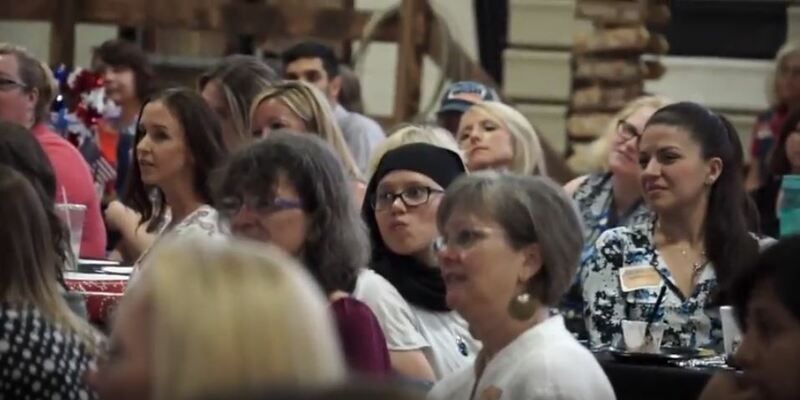 123 is the initiative approved by voters in a May 2016 special election that settled the inflation funding lawsuit between public education groups and the state over the state’s failure to provide inflation funding over a multi-year period. Prop. 123 has generated $491.5 million in more funding for public K-12 district and charter schools since its passage, according to Aportela’s research. District schools have received $241.2 million, or 49 percent, while charter schools have received $250.3 million, or 51 percent, Aportela said. Charter schools received more funding because they have the largest number of weighted students in the state and the most growth in the number of students enrolled, Aportela said. 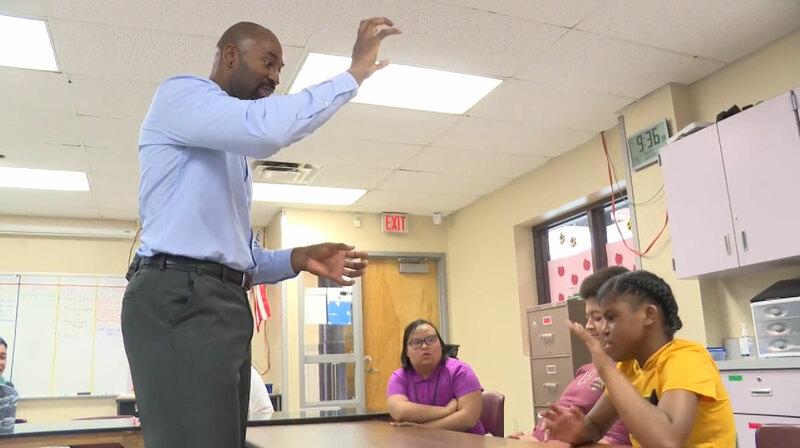 “We know that districts have hired additional teachers, because we do have some districts with some significant student growth and also overcrowded classrooms, and they use the dollars to alleviate some of that,” Aportela said. The remaining 10 percent of the money generated by Prop. 123 for district schools was used to meet other specific local needs. Some districts used it to cover the mandated increase in the state minimum wage required by Prop. 206, which impacted compensation for school staff such as crossing guards, food service workers, custodians, bus aides, and instructional and other aides, Aportela said. “There was no additional funding to school districts to cover this mandated increase in the minimum wage, so that money, Prop. 123, helped cover that increase,” Aportela said. Some of the Prop. 123 money also may have been used by schools for capital needs for building maintenance and renewal. Nearly $2.4 billion in capital funding for schools has been cut by the Legislature since 2009, Aportela said. “Teachers were not the only ones who had salary freezes during the recession and afterward,” so some districts also gave raises to employees in 22,000 instructional and teacher support positions, 2,100 principals and assistant principals, 700 district office directors and 304 superintendents and assistant superintendents, Aportela said. The percentage of Prop. 123 funds that went toward teacher pay at charter schools is not known, Aportela said. Charter schools are not required to provide the same level of reporting on expenditures as school districts. While Prop. 123 dollars are making an impact, reductions in other areas continue to stress district budgets. When Prop. 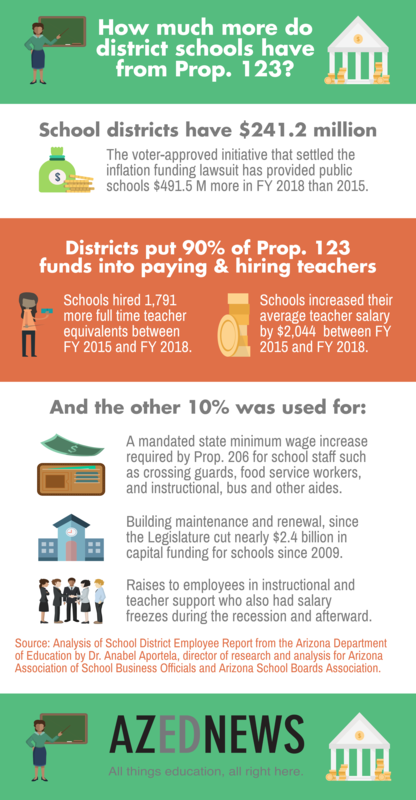 123 took effect in fiscal year 2016, there were several other changes in public K-12 education funding that reduced the potential impact of Prop.123 by at least $175 million, Aportela said. 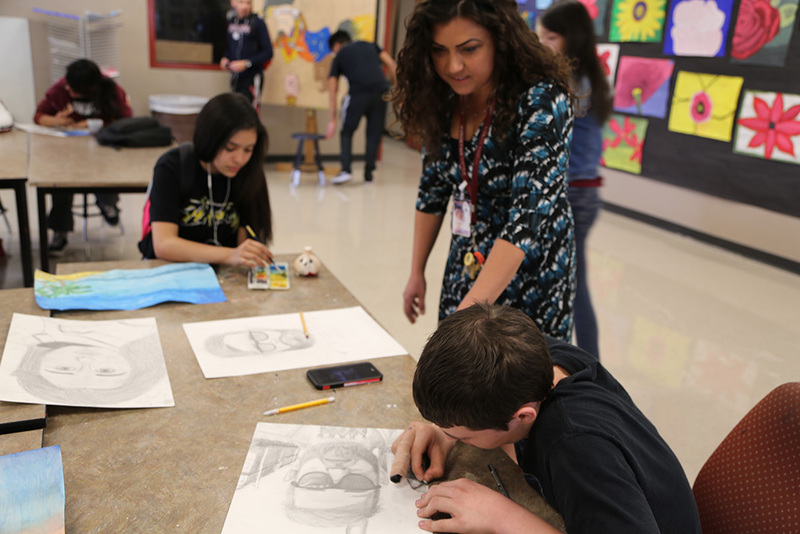 The cut in district additional assistance went from $239 million the previous year to $352 million in fiscal 2016, and the move to current year funding has cut money for district schools by $30 million, Aportela said. “For districts that are not able to pass a bond, the capital needs are much greater than for a district that is able to pass a bond. That’s going to have an impact on what kind of salary increases districts can give to teachers and other staff,” Aportela said. 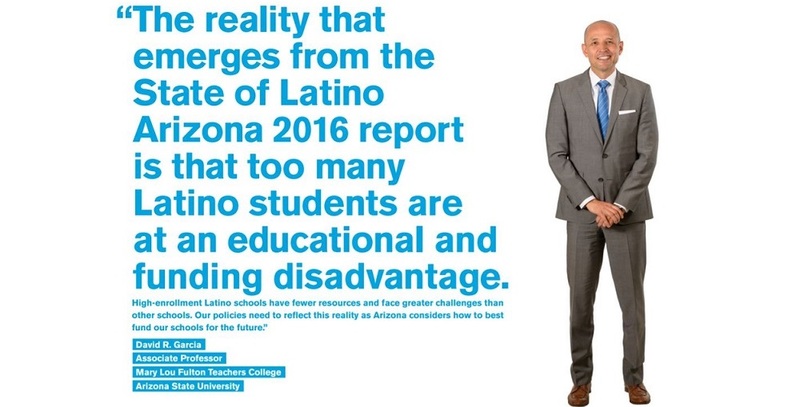 Hear more about the impact of declining enrollment on rural schools’ budgets in next week’s podcast on AZEdNews.